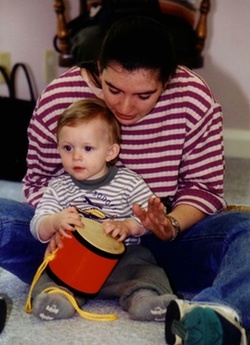 As noted on the WeJoySing website, “songs, movement and musical games of childhood have been called “brilliant neurological exercises” that introduce children to speech patterns, sensory motor skills and essential movement skills.” This movement that looks like play to adults is serious work for our children. 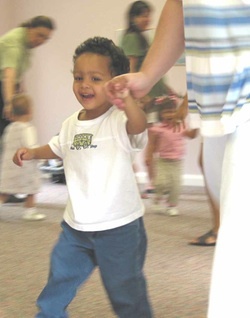 Erika Wills, a Physical Therapist Assistant at Licking Memorial Health Systems, provides her observations of the benefits of WeJoySing classes on gross motor development. 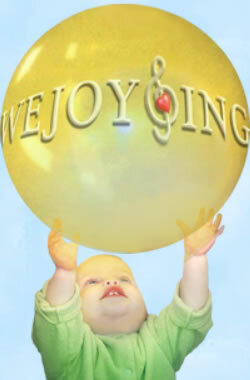 How long have you attended WeJoySing with your son? As a Physical Therapist Assistant, what do you see in WeJoySing classes that meets gross motor needs? The awareness of the body as it exists in personal space as well as how it functions in movement and coordination is the Bodily-Kinesthetic Intelligence in Howard Gardner’s theory of Multiple Intelligences. Music and movement are so closely tied together in WeJoySing classes and all children benefit from developing that intelligence. As stated by Zoltan Kodaly, whose methodology drives the WeJoySing curriculum, "Movement is the child’s most favorite response to music. Movement is the body in melodic and rhythmic exploration." 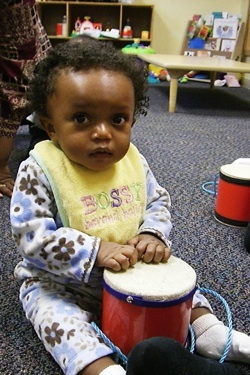 Watching children of all developmental levels achieve motor skills within the WeJoySing class is yet another perk added to the list of benefits from attending. So, as you and your young child bounce, shake, turn, march and slide through class together, revel in the brilliant neurological work that is being done in your child’s brain!